Late February: the best part of winter. The sun is shining straight through my office window in the semi-basement. How pleasant. Meanwhile, outside, all is white, hard and frozen. Last weekend, a couple of anglers walked about three hundred meters over the frozen sea in front of our house, carrying two chairs, a pack of beer and their fishing rods. They sat there motionless for hours, looking at the hole in the ice they had made for fishing, while drinking beer and having a good chat, I bet. Way to go! 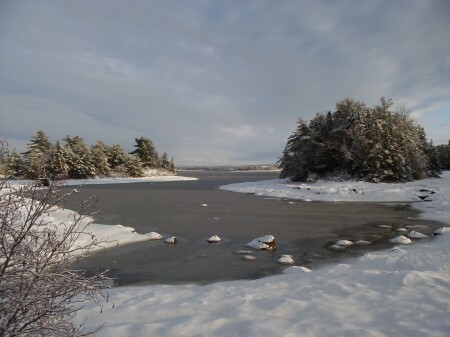 Looking west from the Big Big Bridge, toward downtown Truro. 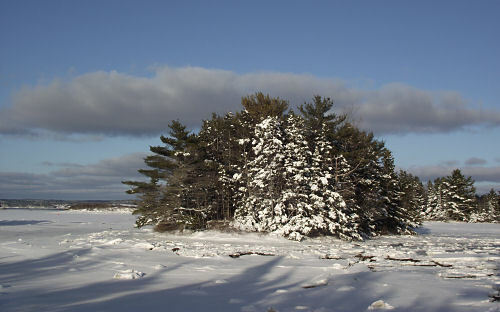 When I was little, we lived in Valley, near Truro. We made frequent trips to town, and on the way home, my sister and I would beg whichever parent was driving to take us over the “Big Big Bridge, please!” We often got our way, because there were several routes home and this particular route was no longer than any other. The Big, Big Bridge is not over water, troubled or not. 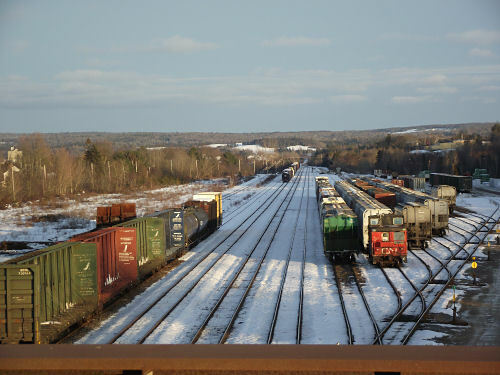 It crosses over a railyard on the east side of Truro, probably the biggest railyard in Nova Scotia outside Halifax. 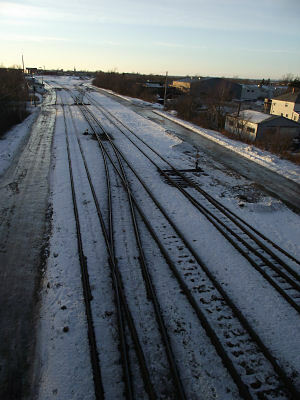 Passing through Truro the other day, my son and I walked across it – the first time I had ever done that. Here’s the view. 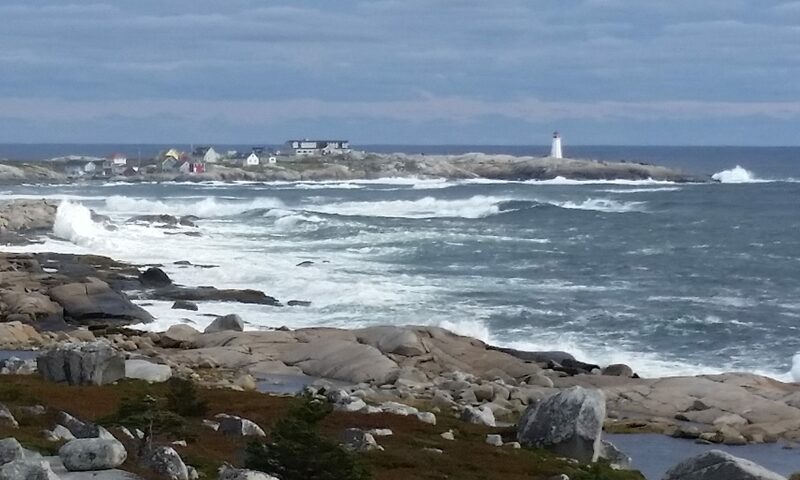 I just added a few pictures to the Panoramas section of the Nova Scotia Photo Album. You’ll find the new ones at the beginning. 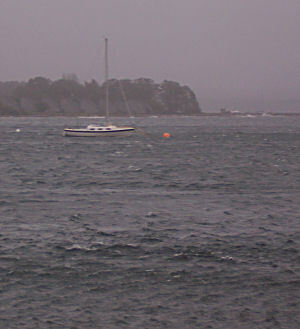 The Panoramas are perhaps the most distinctive feature of this website. They are seamlessly knit together from as many as 6 or 7 photos. How do I do it? There are many little tricks, and it can take me up to an hour to do each one. It’s a labour of love, I’d say. After having taken the pictures, making the panorama is the next best thing to being there. 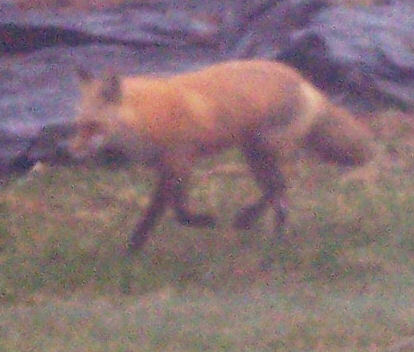 We get a lot of wildlife where we live, but this was our first sighting of a fox. 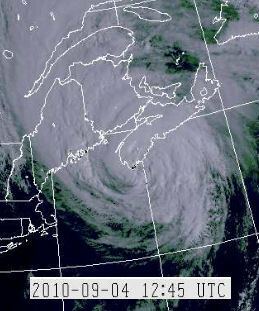 It came down the road, crossed our front yard and disappeared into the woods. I was lucky to get a photo at all. My husband saw it later the same morning, going the other way. 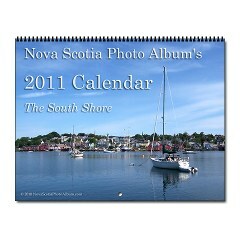 If you’ve ever clicked on “Gift Shop” at the top, you’ll know that I’ve set up a CafePress shop with Nova Scotia gifts. I’ve ordered products from the shop myself, and have generally been pleased with the quality. My favourite item is the rectangle fridge magnets. 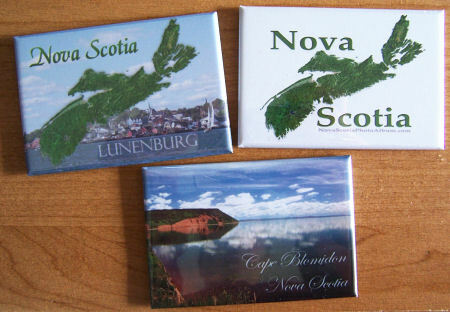 I just had a bunch made up with a Lunenburg scene in the background and the satellite image of Nova Scotia in the foreground. I’ll be using them as hostess gifts when travelling outside the province. They just arrived in the mail, and they’re really nice. The photo shows one of them along with others I’d ordered previously. CafePress ships by mail from the US. Depending on what and how much you order, and perhaps on luck, you may have to pay duty and taxes on items shipped to Canada. In my limited experience so far, small packages of printed materials come right through. I ordered some T-shirts and had to pay what seemed like a lot of duty. Same with mugs. But the package of 10 fridge magnets arrived in my mailbox directly. And with the Canadian dollar near par, it’s a good time to order.